We offer First Aid, CPR, and Automated External Defibrilator courses and re-certifications with highly qualified instructors. We offer these courses in a large classroom environment with a range of teaching methods to cater to a diverse group of students. We offer hands on experience and use of all the latest first aid equipment. We understand the importance of being certified so we promise to never cancel a class. Vancouver First Aid also now offer food safe courses in Vancouver and Surrey. These courses meet the highest regulations and standards. Food safe training is also offered at the lowest prices with the largest and most comfortable training centers. We have several training facilities located throughout the Vancouver Lower Mainland. Our main training centre in Vancouver is located at 1773 Kingsway Vancouver, BC V5N 3Z8 which is centrally located in Vancouver with plenty of nearby amenities including free parking and great access to public transit. Our Surrey training facility is located at 7238 137 St Surrey, BC V3W 1A4 which is also centrally located in Surrey Newton. Parking is available as well as good access to public transit. Plenty of amenities are also located in the central region. Our classes are catered to teach a diverse group of individuals. We teach to Lifeguards,Nurses, Doctors, Police Officers, Fire-fighters, Service industry workers, Community front-line staff, caregivers and to anybody wanting to increase there first aid knowledge. Regardless of who you are we will keep you challenged and increase your first aid knowledge base. Learn CPR and first aid through a fun an interactive experience with our knowledgeable instructors. We strive to create a positive, professional and fun learning environment . We focus on offering clean and comfortable classes and convenient locations. We promise to never cancel a class. You are always welcome. We guarantee to offer the most competetive prices in the lower mainland. We are creative instructors with a passion to teach. 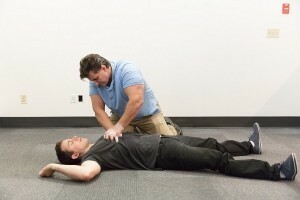 We have at least ten years of first aid teaching experience. We always welcome feedback, questions or comments. Feel free to visit our contact us page or call (778-709-9180) or email (info@vancouverfirstaid.ca).